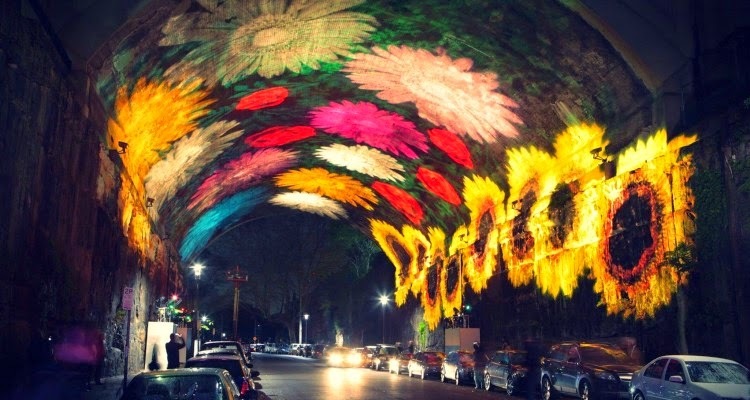 Downtown Sydney Transformed by Light |Vivid Sydney Archi-new - Free Dwg file Blocks Cad autocad architecture. Archi-new 3D Dwg - Free Dwg file Blocks Cad autocad architecture. In a free to public event from May 25 to June 9, an open exhibition for light sculptures aim to light up Sidney. From icons to alleyways, no part of downtown Sidney is left untouched by this extravaganza which aims to promote public interest in art, music and innovation. The 19 day festival attracts visitors in hoards for its performances and vibrancy. From giant rabbits to floral motifs, there is no saying what may surprise you as fifty spectacular light installations and sculptures light up evry night from 6pm to midnight. 3D projections onto iconic buildings, old and new, the Lighting of the Sails of the Sydney Opera House and ferries and cruise vessels decorated with lights are expected. This year with addition to the first time installation in Martin Place, a pedestrian area, sculptures with required human interaction to turn them into art are also featured. People are invited to be part of art which changes, responds hence engages them in a dynamic display of creation.